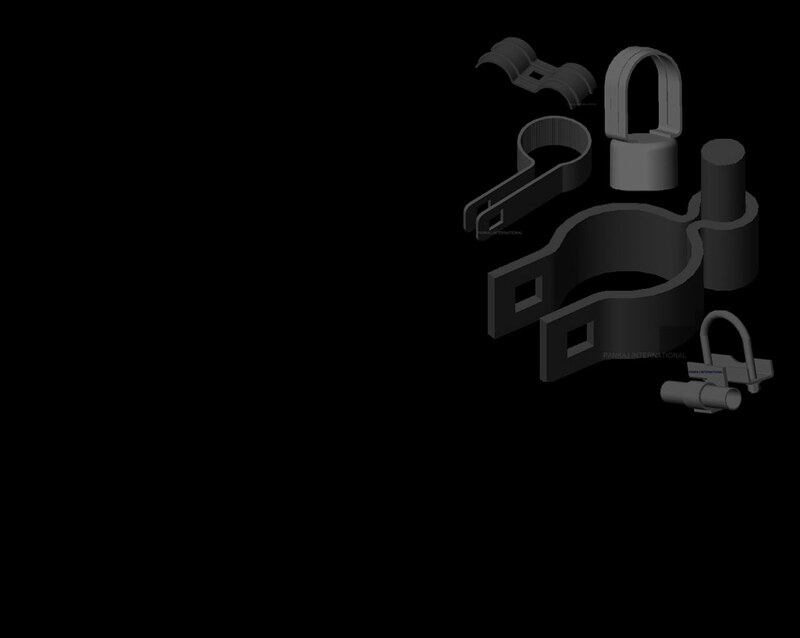 We are manufacturing high class chain link fence fittings. Our products are made in Ductile Iron Casting/Gray Iron Casting which are special graded Castings thereby replacing the obsolete malleable castings. Each part is thoroughly hot dip galvanized according to ASTM standard. We have large production capacities and our plants are equipped with latest machinery to undertake these jobs. We also undertake development of customized parts according to the buyers requirements as we have a separate R & D section to take care of such jobs. Double Wheel Carrier Fit 1.5/8" Or 2"
Double Wheel Carrier - Fit - 1.5/8" Or 2"
Double Wheel Trolly - For 1.5/8" Or 2"
Swing Gate Single Wheel For 1.5/8" OR 2"
Tension Bars - Residential 3/16" X 5/8"
Tension Bars - Commercial - 3/16" X 3/8"